How to upload report into Online Designer and download edited report - Fast Reports Inc.
One of the first questions that faces Online Designer users is how to organize downloading reports from a local computer? 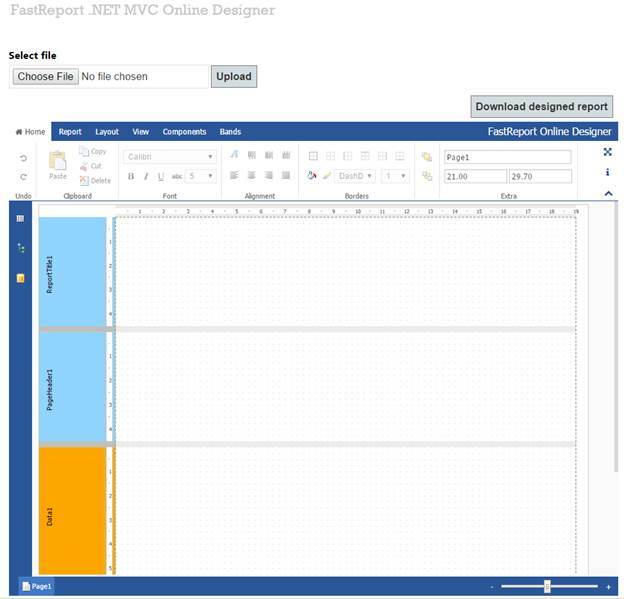 Today we will consider uploading from the local computer to Online Designer and downloading the modified report using the example of the ASP.Net MVC application. Note the DateTimeOffset.Now.AddMinutes (1) parameter. It specifies the cache lifetime. At the top we display the title of the page. 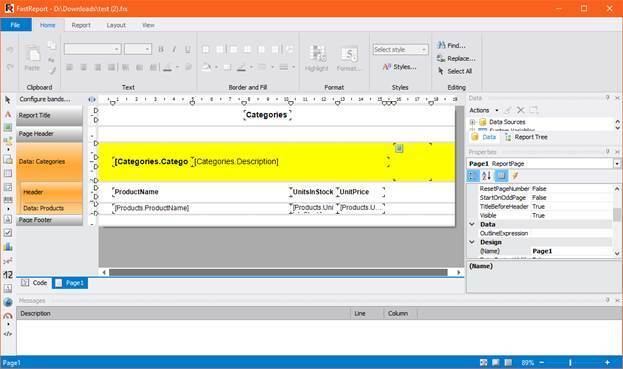 Next, use the BeginForm helper to create a form with a file select button. The parameters specify the name of the handler method - "Upload", the controller name is "Home", the processing method is FormMethod.Post, the data encoding method is - enctype = "multipart/form-data". Next, insert the file download field and the button. On the right side of the page, we'll place one more button on which the edited report will be downloaded. For it, we also create a form using the BeginForm helper. In the last line of code, we display the report received from the controller. And get our report, edited with Online Designer.